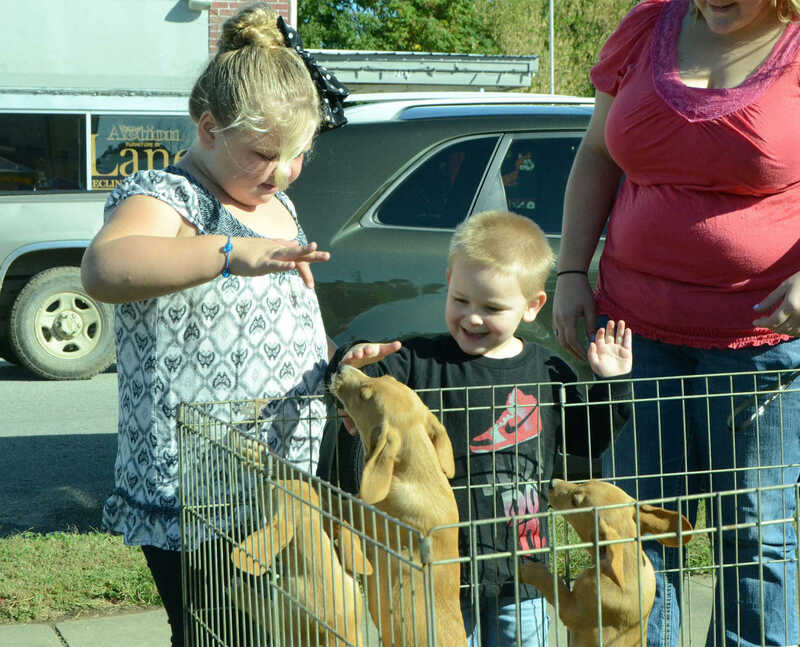 Blaiz Pace and Konnway Hensley pet dogs at Vernon County People for Pets booth at Oktoberfest on Saturday. 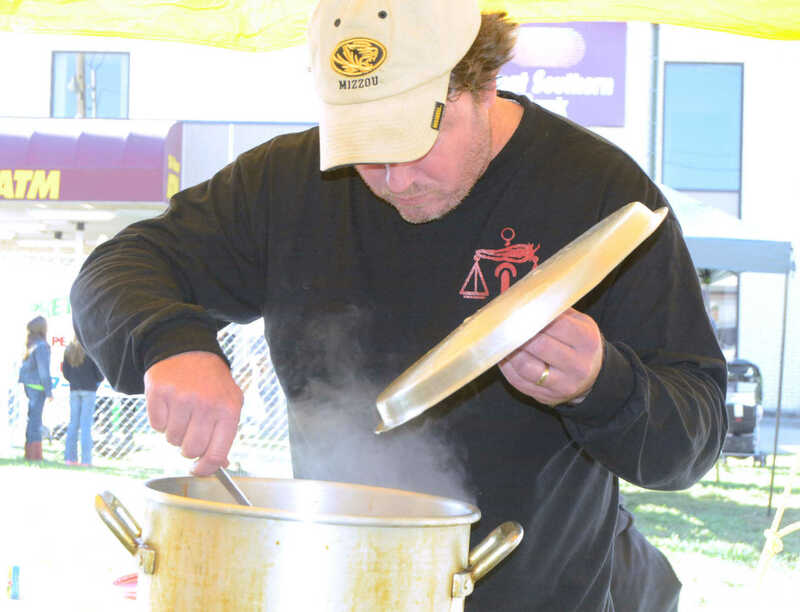 Eric Landoll stirs his chili for the Chili Cookoff at Oktoberfest on Saturday. 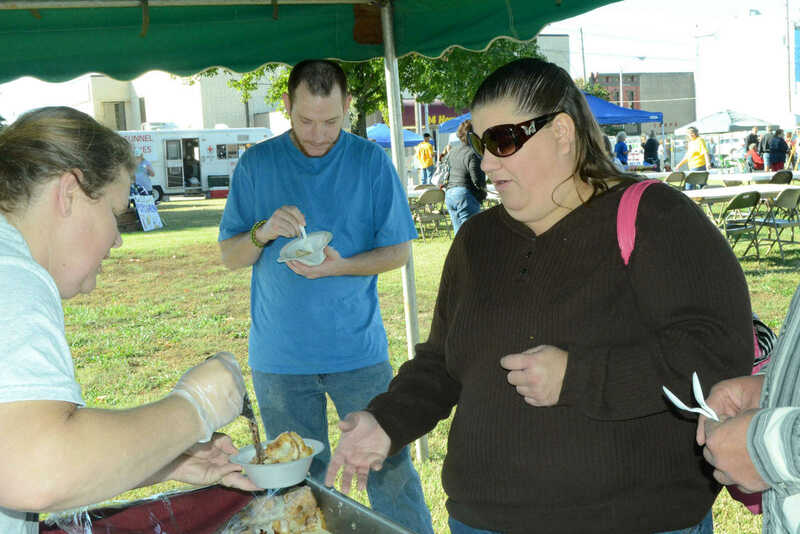 Amy Teems serves Kathy Hoskins cinnamon rolls at Oktoberfest on Saturday. 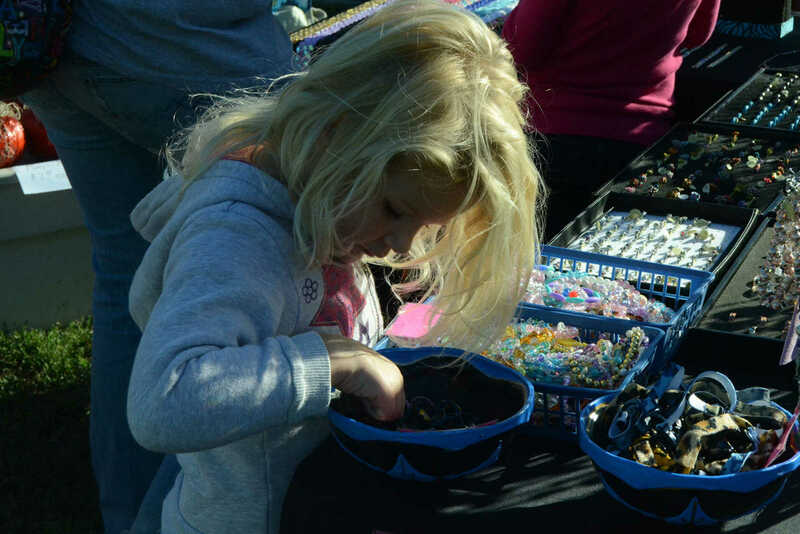 Elise Moreland checks out the rings for sale at Oktoberfest on Saturday. 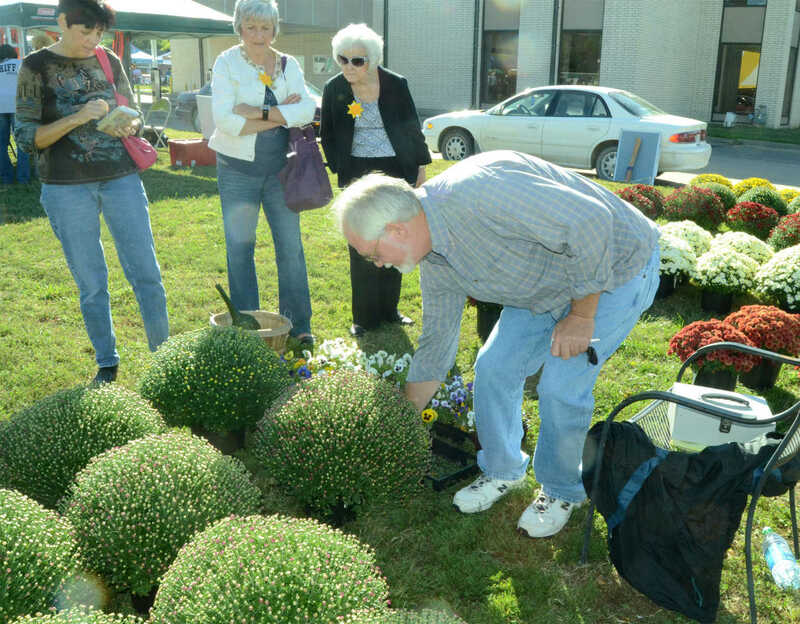 Larry Hand picks out flowers to buy at Oktoberfest on Saturday.